To try and give some perspective of stochastic health effects, think of it as getting struck by lightning, or winning the lottery. Getting struck by lightning is a stochastic effect of being outdoors. Flying a kite during a lightning storm will increase your probability of being struck, but even then it cannot be predicted for certain that this will happen. Occasionally, lightning strikes when there is no storm. The national weather service reported 28 lightning fatalities in 2012 in the US. According to the National Lightning Safety Institute, your chances of being struck by lightning are 1 in 280,000. Winning the lottery is a stochastic effect of playing the lottery. According to lottery officials, the odds of winning the Mega Millions jackpot are about 1 in 176 million, making winning the lottery very unlikely for an individual. Zippy Vonier of Thomasville, Georgia bought a quick pick ticket years ago. Then he kept playing those numbers over and over again, week after week, year after year. On November 27, 2012, Zippy’s numbers matched the winning numbers for the Mega Millions jackpot. He won $50 million. Statistical math can give us an idea of what our chances are, and we can see from historic evidence how some things can change those odds, but we can’t know for certain if, when, or how these effects will occur. The poker hand held by Wild Bill Hickok at the time of his death. In the game of poker, two black Aces, two black 8s and the Queen of clubs is called the dead man’s hand. Legend has it that this is a predictor of imminent death for the person holding the cards. Odds are 1 in 2,598,960 that a person would be dealt that hand. As the radiation dose to an individual increases, the probability that a stochastic effect will occur also increases. Like buying more lottery tickets. However, at no time, even for high doses, is it 100% certain that stochastic effects like cancer or genetic damage will result. 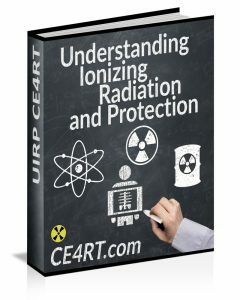 Similarly, the same stochastic effects can occur in individuals that have not been exposed to radiation above background levels. Therefore, it can never be determined for certain that an occurrence of cancer or genetic damage was due to a specific exposure. Cancer is a stochastic effect of radiation, meaning that the probability of occurrence increases with effective radiation dose, but the severity of the cancer is independent of dose. 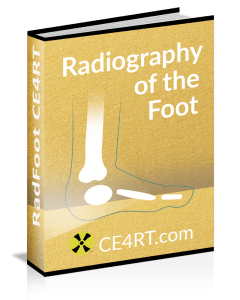 The speed at which cancer advances, the prognosis, the degree of pain, and every other feature of the disease are not functions of the radiation dose to which the person is exposed. Buying more lottery tickets won’t change the jackpot. This contrasts with the deterministic effects of acute radiation syndrome which increase in severity with dose above a threshold. Perceiving one’s self as a statistical data point is something that’s impossible for human beings to do. This will be illustrated the next time you go out in a rainstorm to buy a lottery ticket. Although we understand the numbers and the meaning, numbers and statistics aren’t really meaningful to human beings. What matters are the individual human stories behind the numbers. Thus it is imperative that as radiologic technologists we make every effort practice ALARA on each and every patient. Jesse Watlington, 11, was running onto the football field at South Florida Christian Academy in Ft. Myers Florida on October 3rd, 2012 when a lightning bolt struck him in the chest and exited through the heel of his foot. He was rushed to a local hospital, where paramedics revived him with CPR, then airlifted him to Tampa General Hospital where he passed away.